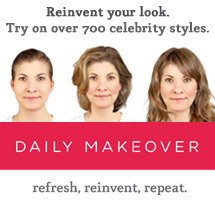 The Beauty Buff Blog: Photo Shoot Makeup for Wild and Crazy Pearl and the Washington Post! Photo Shoot Makeup for Wild and Crazy Pearl and the Washington Post! I recently caught up with my old friend from high school Emily Goodstein. Emily is truly one of the most creative and unique people I know and on the day we met she had asked me to do her makeup for a photo shoot. 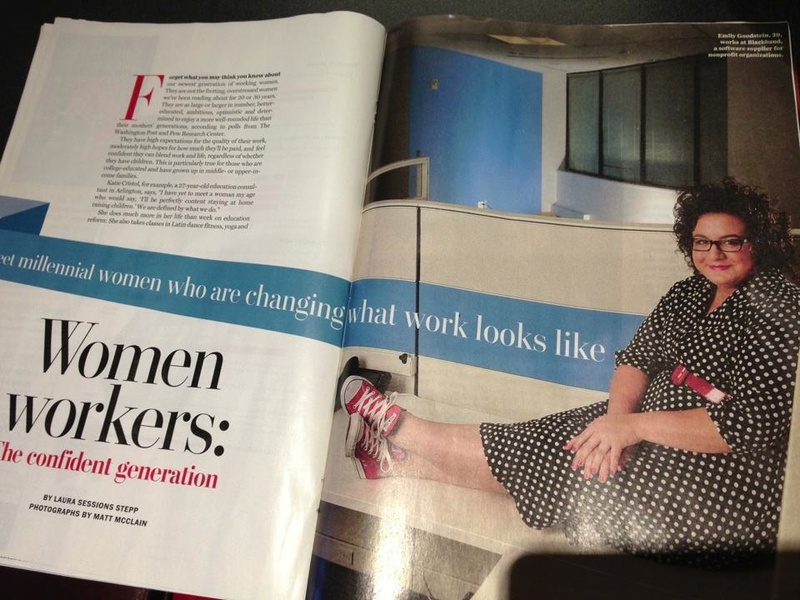 The Washington Post was interviewing her and doing a profile and spread in their magazine edition. The article focuses on millennial women in the work place and how different and more well rounded women's life and career balance is than in past generations. 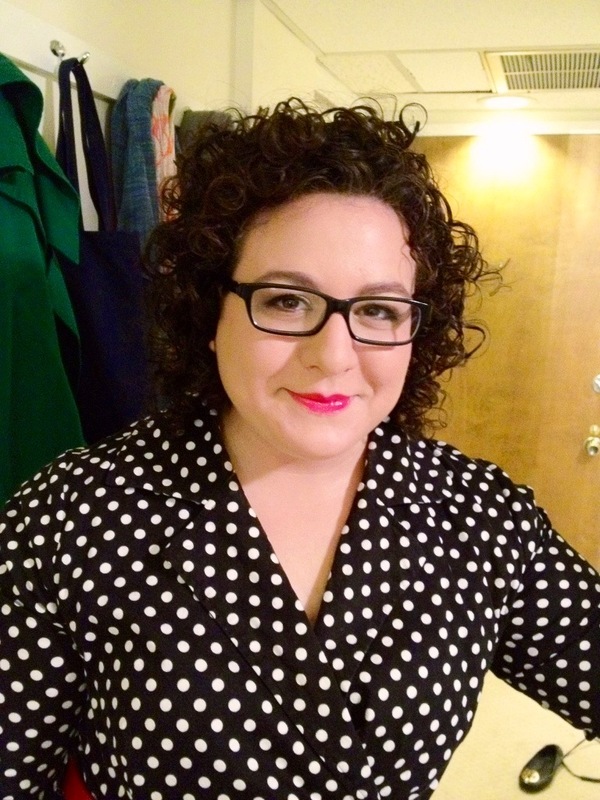 Emily is a Client Relations Manager at Blackbaud, a software supplier for nonprofit organizations. Not only is she a successful Manager in her tech-centric job, but she is also a photographer, blogger, social media maven, crafter and all around lover of life. Emily Goodstein photographed by Matt McClain for the Washington Post featured at her desk during the photo shoot for the profile on her career and life. It was a pleasure to do her makeup for this special and amazing profile of her. Emily is warm, funny, intelligent and incredibly special. It was a delight to catch up with an old friend and see what amazing things they are doing. Check out the article here and follow her on Twitter at www.twitter.com/wildandcrazypearl and check out her charming, quirky and always entertaining blog, Wild and Crazy Pearl here or at emilygoodstein.com. Emily wrote an honest, charming and fun post here about head shot how-to's. Check out the article and my shout-out here: http://www.wildandcrazypearl.com/2012/10/heashot-how-to.html. 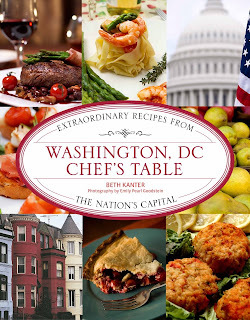 As the amazing food blogger and photographer, Emily also photographed images for her first book written by Beth Kanter called the Washington D.C. Chef's Table. The pictures are mouth watering and beautiful and the book is a delight to read. Check out her amazing work and click here to purchase the book. It has incredible photos of artfully crafted dishes from all around the city and makes a great present for the holidays!